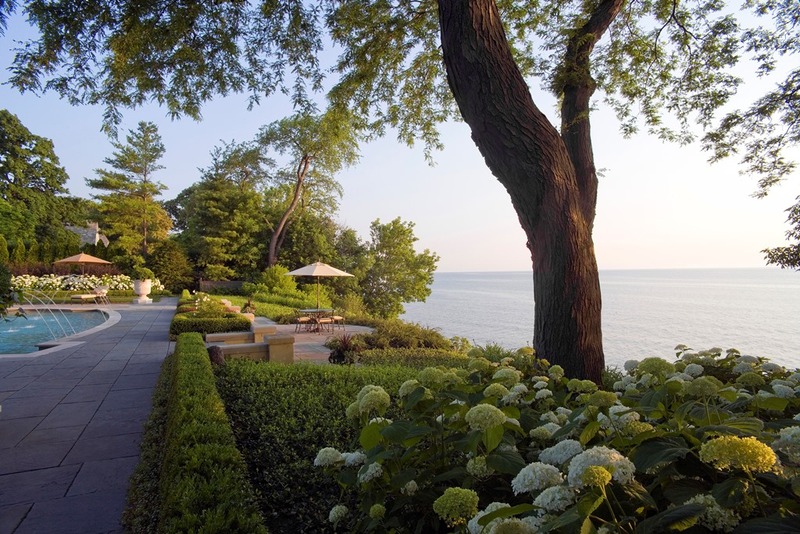 The calm front view and vibrant back garden leading to Lake Michigan obscured the issues facing the landscape design and installation for this 1928 Italian-style home. 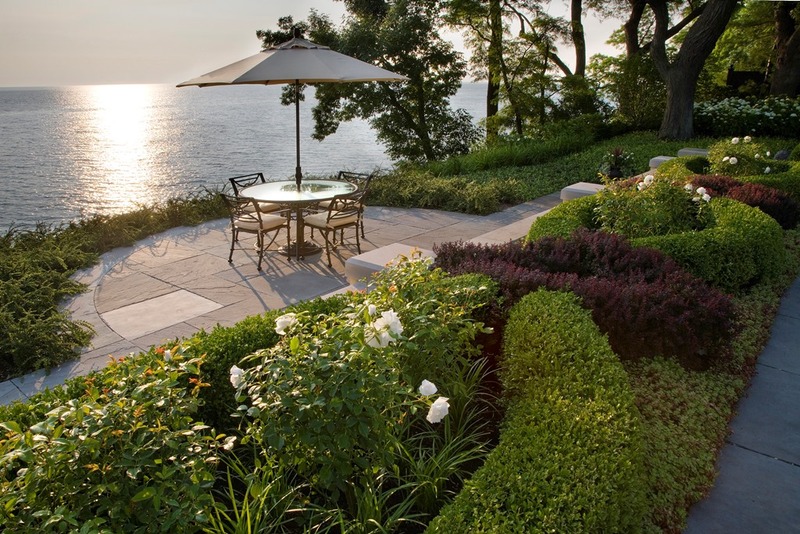 Mariani Landscape addressed them using sustainable practices. A number of solutions were designed into the front garden. 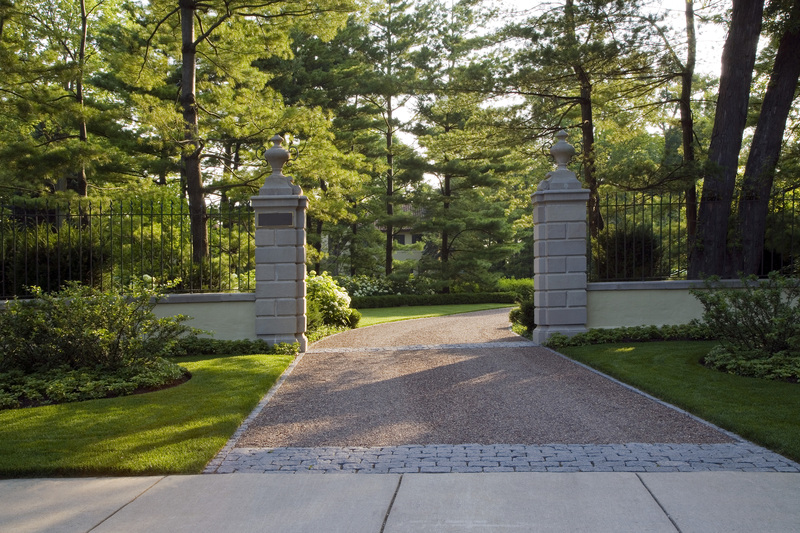 To improve an obscured driveway a brick wall was expanded to make the entrance clearer to the visitor. 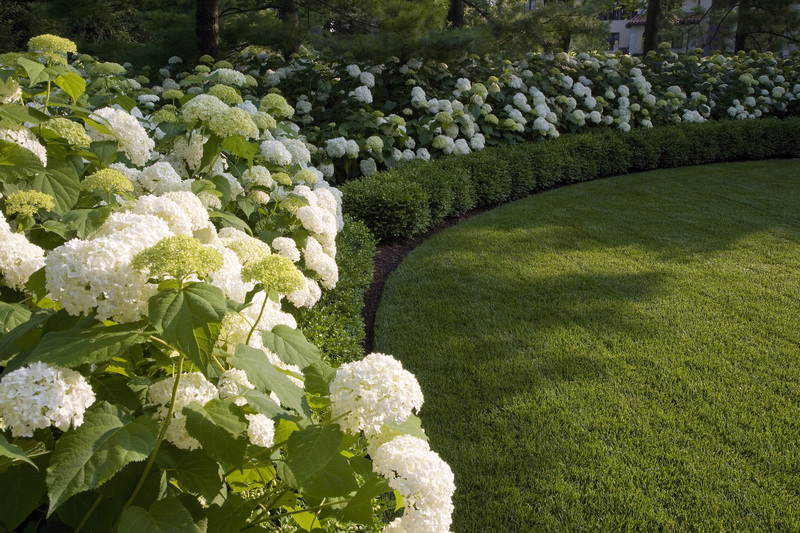 A palette of greens (arborvitae, burning bush, viburnum, sumac, spirea) and whites (hydrangea, rose, magnolia) soften the bright yellow color of the home. An ash tree was treated and saved, and a tired stand of white pines was nourished and supplemented, making the most of existing foliage and adding to the privacy and romantic feeling of the home. The owners wished to have an unobstructed view to the lake in the back garden. 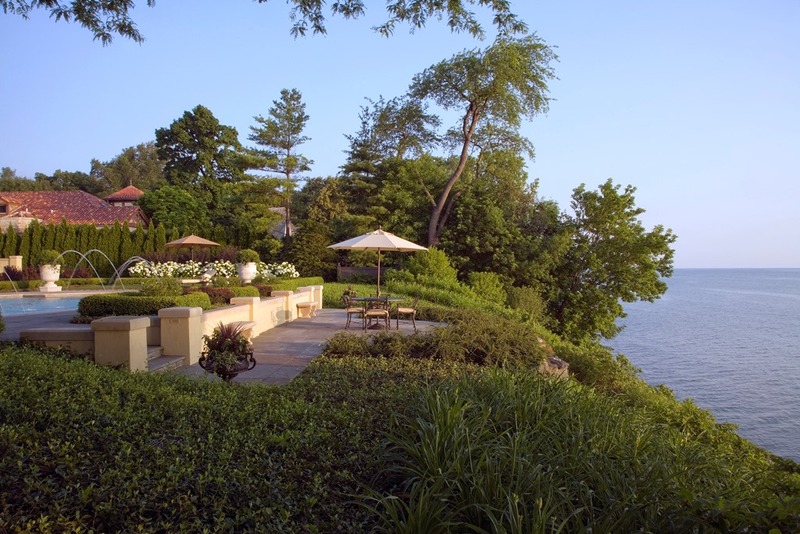 To avoid view-altering handrails near stairs, the grade change was managed over three levels, created with bluestone: back patio, pool terrace, and lake overlook. 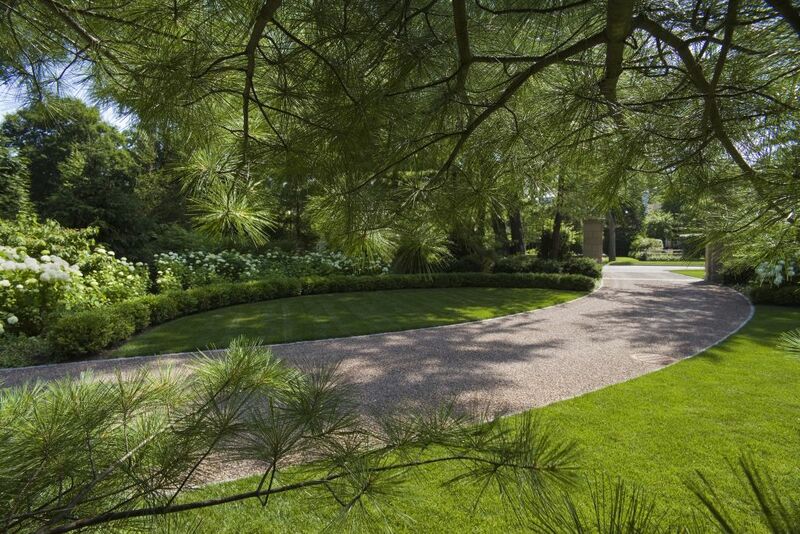 Levels are separated by formal plantings of boxwood and barberry to create parterres were edged with colorful sedums. 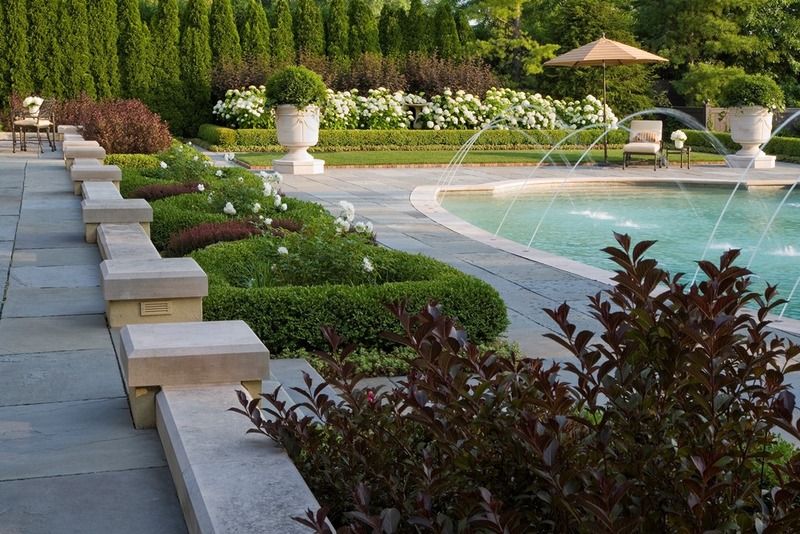 To give a sense of proportion, large urns with boxwood and ivy anchored the corners of the pool terrace, and a grand pergola was created on the south side of that level. The pool became a water feature with the introduction of arching jets. Mariani located a conservator and arranged to have the antique statues cleaned and repaired, and then tucked them into garden borders, perfecting the design down to the last detail.